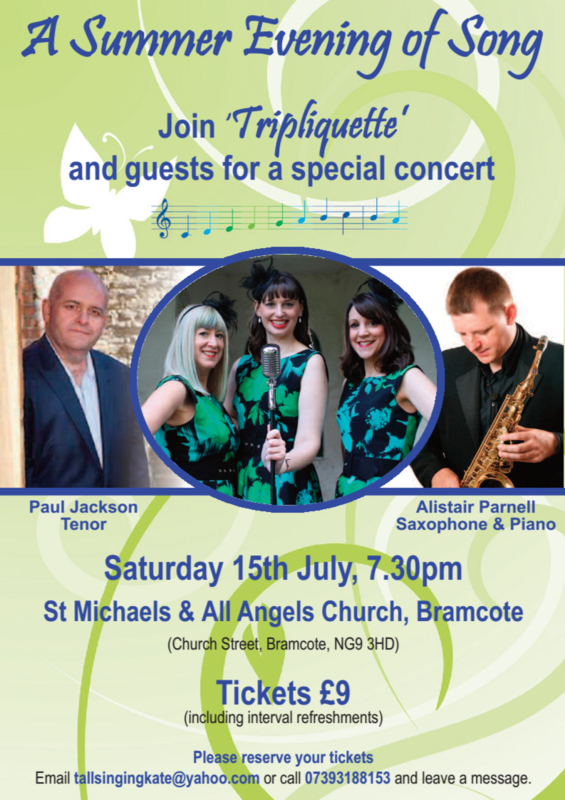 Join Tripliquette with guests, Paul Jackson (tenor) and Alistair Parnell (Saxophone & Piano), for a special concert performance. Tickets are £9 including interval refreshments. Please reserve your seats by emailing tallsingingkate@yahoo.com or via 07393188153. Payment is by cash at the event.